It may have been 115 degrees outside yesterday, but that didn’t detur us one bit! As promised in my previous post, I picked up Olivia from her first day of school and headed straight for Ulta with my coupon in hand. 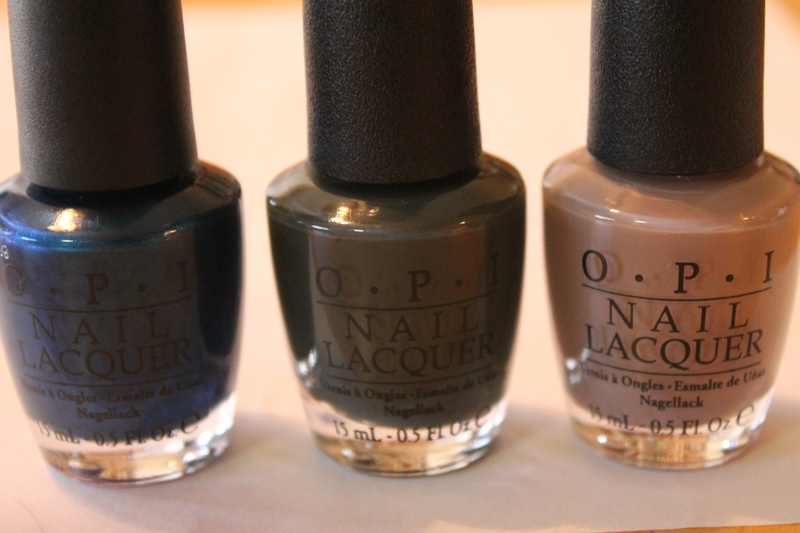 Once we entered the fabulously air-conditioned store, we immediately saw the OPI Germany nail polish display. It was very hard not to grab every color but we settled on three for now. Nein! Nein! Nein! Ok Fine! which is a fantastic deep smokey gray with a hint of army green when applied. Berlin There Done That is a creamy neutral coffee tone. 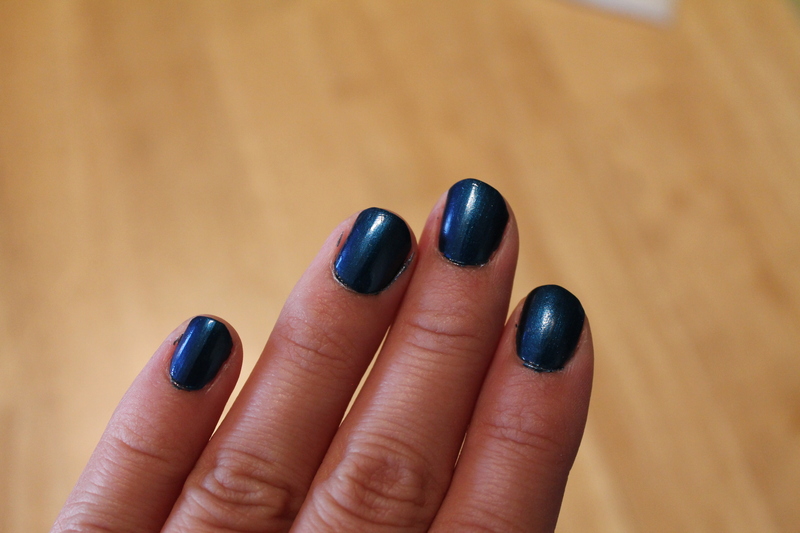 Unfor-greta-bly Blue is a bright, bold deep blue which I chose as my first one to show off. We are going camping(in a trailer of course) this weekend with my husband’s family, so we will see how well it holds up. I promised myself I would wait to continue my collection when I get another coupon or perhaps a sale? Here’s to hoping it’s sooner rather than later! While new fashion is exciting, I love to reminisce of the earlier years and reinvent the past. 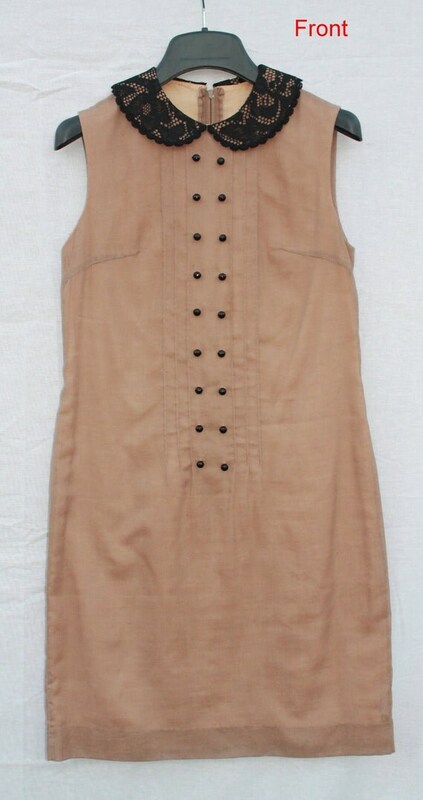 As an indulgence, my sister and I have opened up a new vintage dress shop Alli Vintage on etsy. While we currently have an inventory of primarily dresses, I hope to add shoes, purses and more in order to create some fantastic full ensembles. Here are some of my current favorites. I’m making an attempt to begin my own tradition on mystyleoffice called Monday’s Pick of the Week. Mondays can be daunting and getting out of bed can often be a struggle. So, to help and motivate at least myself, I am giving myself a fun task to look forward to. My goal is to find a fun piece of clothing, accessory or perhaps beauty product(if it’s really good) and feature it as my “pick of the week”. I would love your feedback on this project. Thanks! While winter is still in full swing, staying warm and stylish at the same time can be challenging. These are leather and fur gloves from Marc by Marc Jacobs. Such an easy way to keep warm and not lose on style. I think they look so cozy and glamorous!